Hello there! 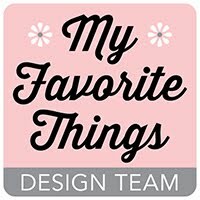 Have you seen all of the new and fabulous August products from My Favorite Things? All of the new products are available in the MFT Boutique right now and the design team is having a little Release Rewind party tonight. I have a couple of cards for you today - my first card uses LLD Document It - Enjoy the Journey and LLD Accent It - World Traveler Die-namics. I started with a Sno Cone Card Stock base and then cut another sheet of Sno Cone to pop up over the base for a little extra dimension. I cut out the LLD Accent It - Hit the Road Die-namics in Black Licorice and Lemon Drop Card Stock and popped it up with foam tape as well. The cute little car is part of the LLD Accent It World Traveler Die-namics set; I cut that out with Sno Cone, Lemon Drop, and Electric Red Card Stock and then just popped it right up over the street. 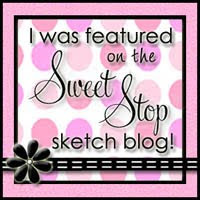 The sentiment is from LLD Document It - Enjoy the Journey and I stamped it in Berrylicious Ink. The layout is CTS#40 from CAS(E) This Sketch. 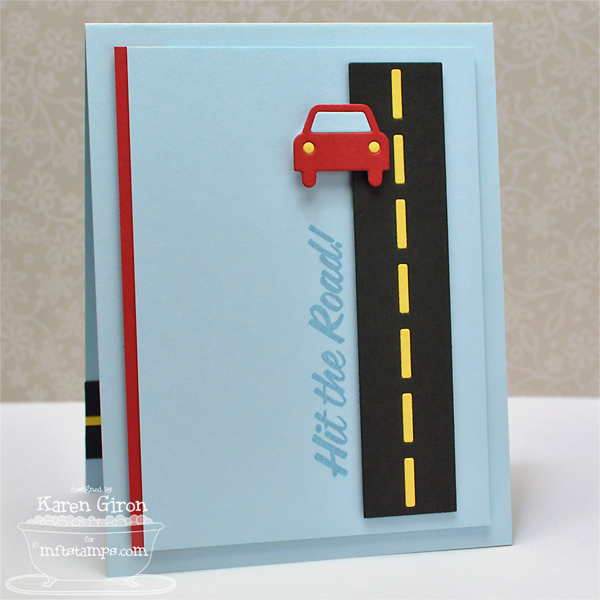 I used the LLD Accent It - Hit the Road Die-namics again inside the card along with another sentiment from LLD Document It - Enjoy the Journey. 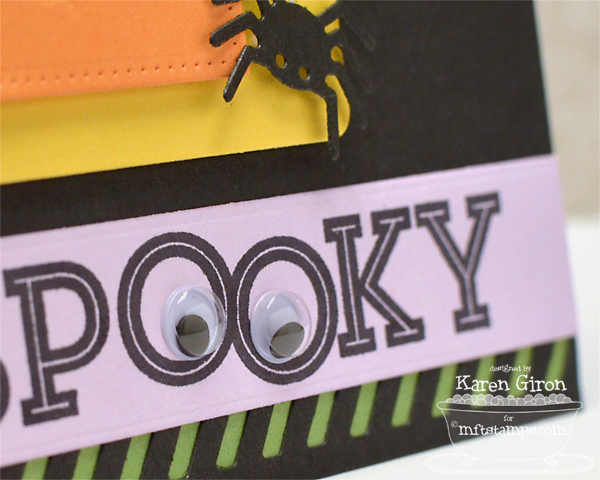 My next card is all ready for Halloween fun! MFT Die-namics steal the show along with LLD Cooper Alphabet. 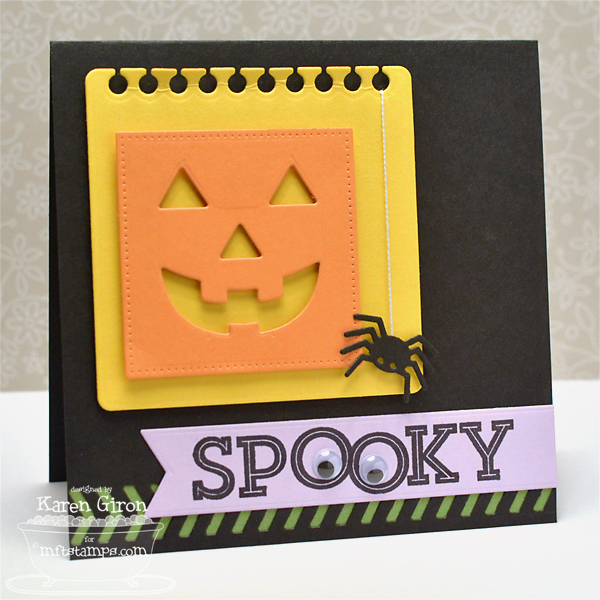 I used a Mini Album Torn Notebook STAX Die-namics underneath the Paper Bag Peek-a-Boos Die-namics to create the Jack-o-lantern. I hung the little spider from the same Die-namics set with some white perle thread. The layout is FMS98 from Freshly Made Sketches. I cut out a Fishtail Flags STAX Die-namics in Grapesicle Card Stock and then stamped SPOOKY in Black Licorice Ink with the LLD Cooper Alphabet and added little googlie eyes. For the inside of the card, I used the font background stamp from Trick or Sweet in Grapesicle Ink and the overlapped the circle label in Gumdrop Green Ink. OMGosh these are so adorable!!! I love them. These are just fabulous Karen!! LOVE. so fresh and funky and fabulous. that car and road on the first one is awesome! 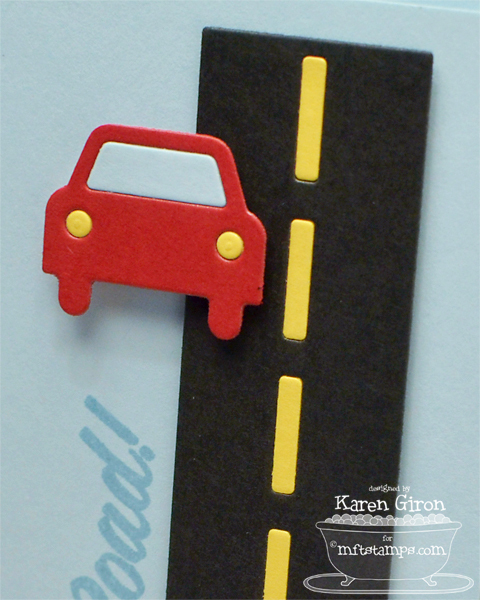 Karen, thanks for using the road dies -- I really needed to see those "in action" -- love them! I can't begin to tell you how much I LOVE these two cards! LOVE, love, LOVE! 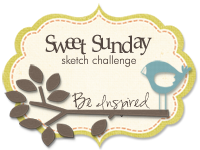 Love the graphic design of your card and how you managed to use the sketch, too! 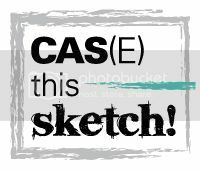 Thanks for joining CAS(E) this Sketch this week! These are both totally amazing! 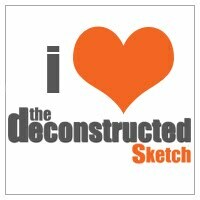 I love how you used the sketch and, wow, I'm sort of speechless. AWESOME! I love the clean look of your cards! 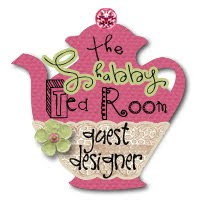 They are so perfect just the way they are with plain cardstock and artfully designed layouts! 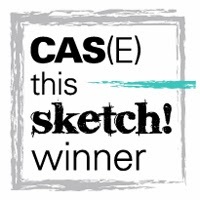 Thanks so much for sharing and congrats for winning at CAS(e) this Sketch! Congrats on your well deserved win at CTS...your card is fabulous!! !